What role does hope or positive thinking play in the future success of a client? This is a question that came up in one of this week’s Coaching 101 classes. 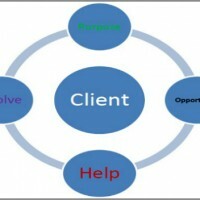 Does hope help a client to be a better visualizer and in turn gain more success in their venture? 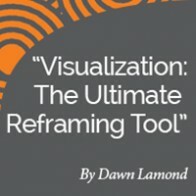 How Does Hope Connect With Visualization? If I asked you to visualize arriving home at the end of a day, I am sure that you would have no trouble doing so. Arriving to your home is a very familiar activity. It seems natural and normal to you because you do it most days. It’s easy to visualize. In fact, probably if you’re listening to this or you’re reading this blog post, I suspect that images of your own home are probably popping up in your mind right now. I bet that you can see your home. You know what it sounds like, what it smells like; you know what it feels like to walk through the door. The challenge with bigger goals, aspirations or ideas is that they are unknown, unlike our home. We have never lived there so we don’t have a picture in our mind. The image of our endpoint is often so unclear that we can view possible barriers with more ease. In fact, the endpoint can be so unfamiliar, that these barriers can be seen as bigger and more insurmountable than they actually are in reality. 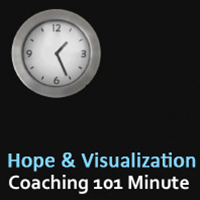 If this is so, how does HOPE come to relate to the concept of visualization? Research has indicated that people with a high level of hope are much more likely to face and overcome obstacles, and to rate higher in success in areas such as academic performance, athletic achievement, interpersonal effectiveness and physical health & well-being. Basically, people who are able to clearly see a bright future are much more likely to achieve it. If you have a high level of hope, you are more likely to be able to achieve your goal, simply by the fact that you can actually see it. You’re designing it in your mind. Answer: Absolutely! Hope creates a vision. Visualization creates action, Action allows you to accomplishing your goal. 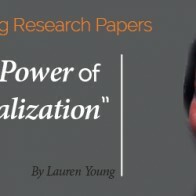 Another really important thing to look at, related to visualization and hope, is that visualization can be so effective that the brain cannot distinguish between an event that is real or one that is imagined. It is well known by athletes to use visualization to practice their skills, vividly picturing themselves performing their routine, races, etc. 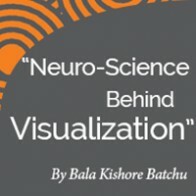 Visualization has even been said to be almost more effective than actually performing the event in real life. Imagine that, more effective! Have hope. Believe that what you can achieve can be a reality. If you are not quite sure what your vision looks like, begin to dream. Dream with your coach. If you are a starting as a student here at ICA, you will receive your own coach and begin to create more hope in yourself. Have more belief that what you see and what you dream for a future, can actually be a reality for you. 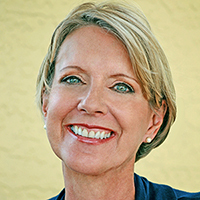 How do I know when I am ready to start coaching my first client? Is there a governing body for the coaching industry? Who regulates the coaching industry? Can I have two niches or two different specialties as a coach? Can I be successful? I want you to stop for a moment while you are listening to this or reading this message and begin to visualize yourself taking advantage of this free offering here at International Coach Academy, Coaching 101. It is sampling of our actual classes, real classroom, real students, chance to kind of sample, if you will.